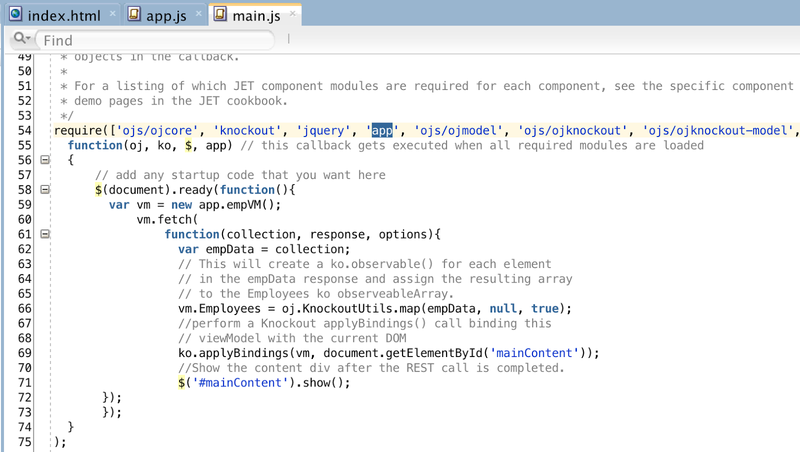 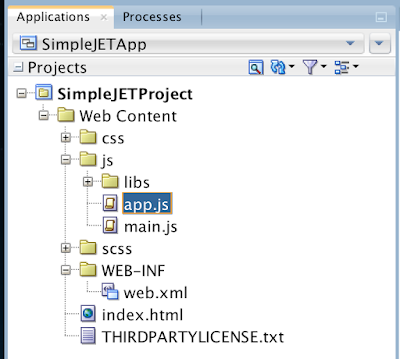 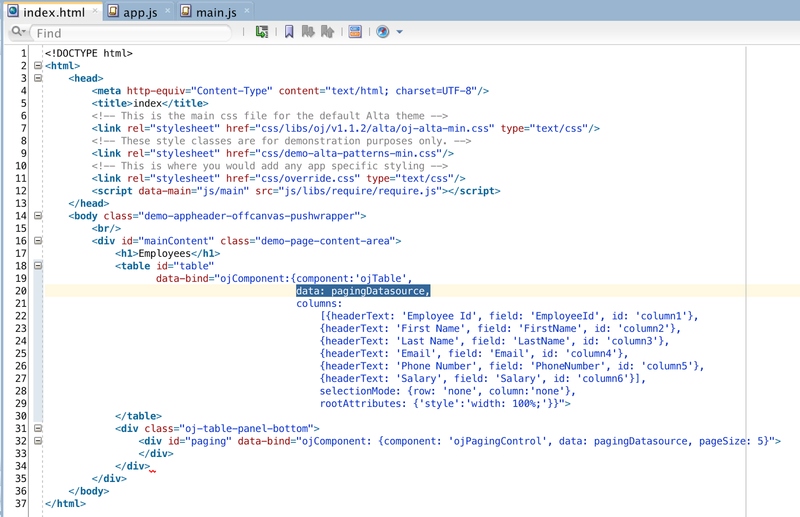 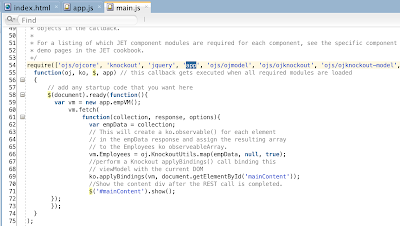 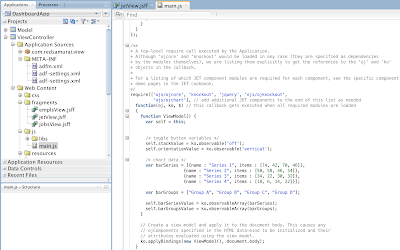 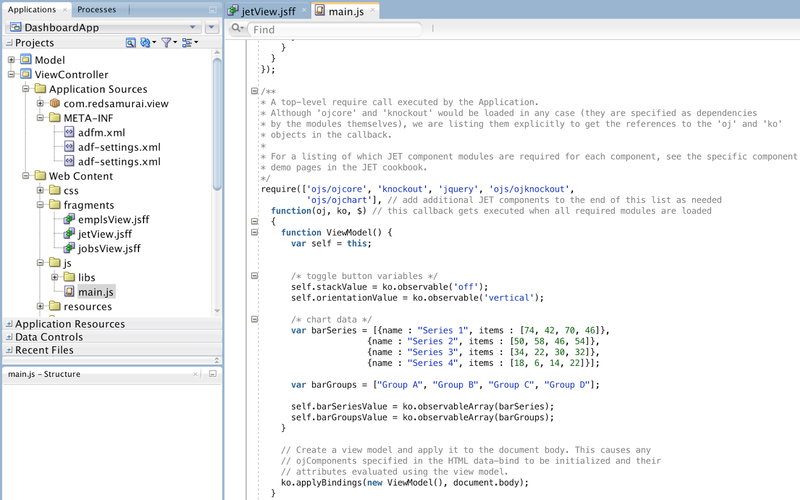 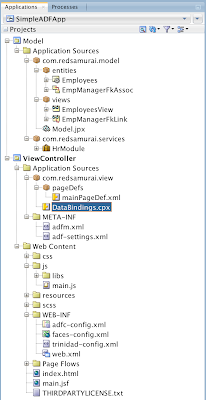 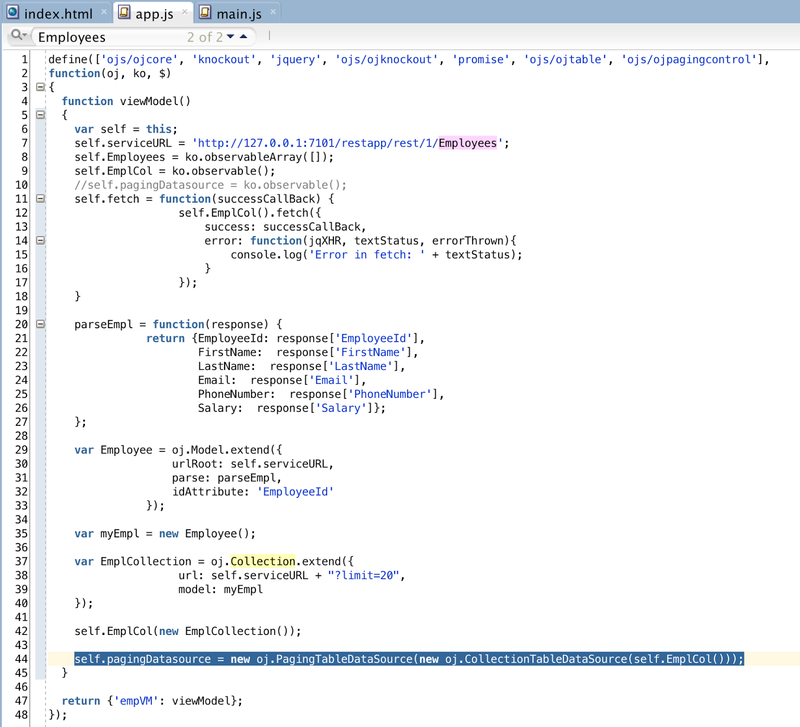 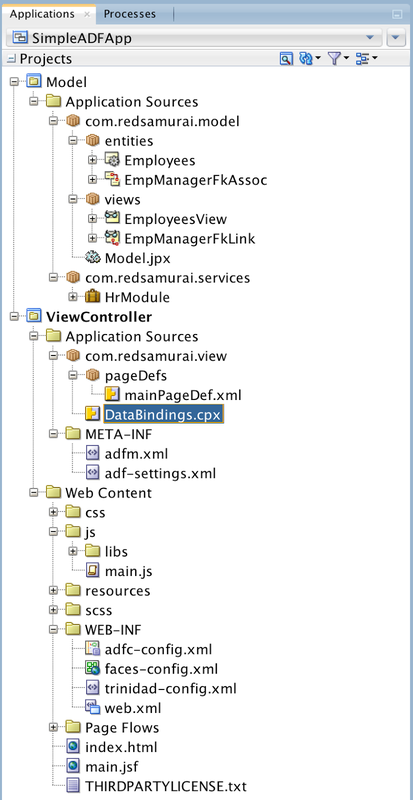 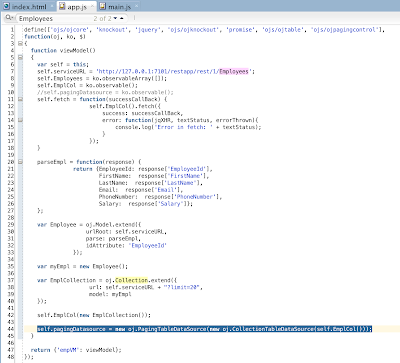 Download sample application implemented with JDeveloper 12.2.1 - SimpleADFApp.zip. I did not delete Oracle JET libraries from the sample application, so you could download and directly run it. 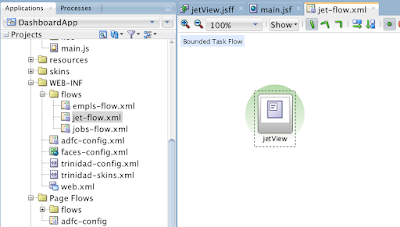 Download size is a drawback, Oracle JET is part of application and it occupies around 11 MB. 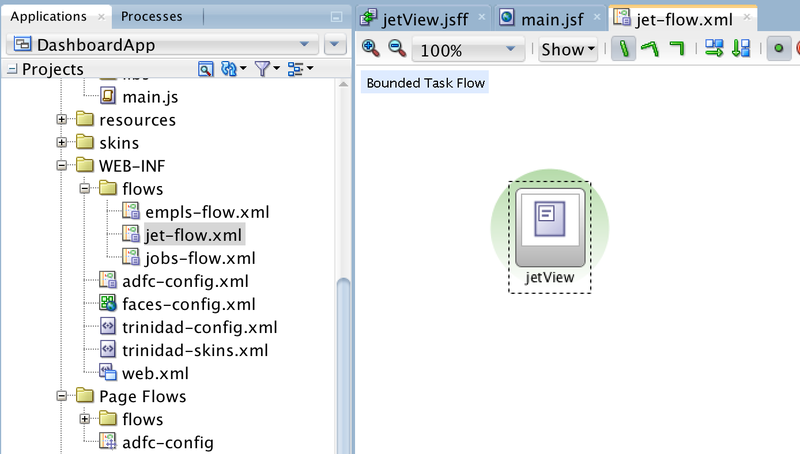 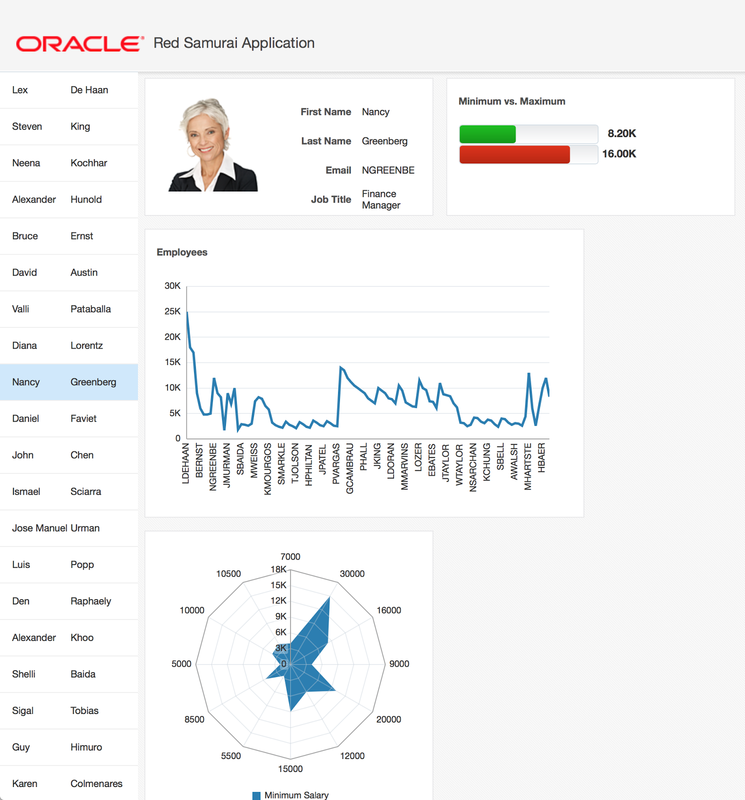 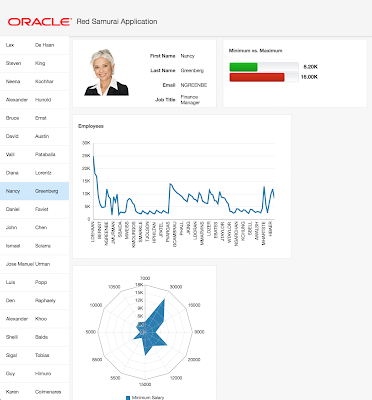 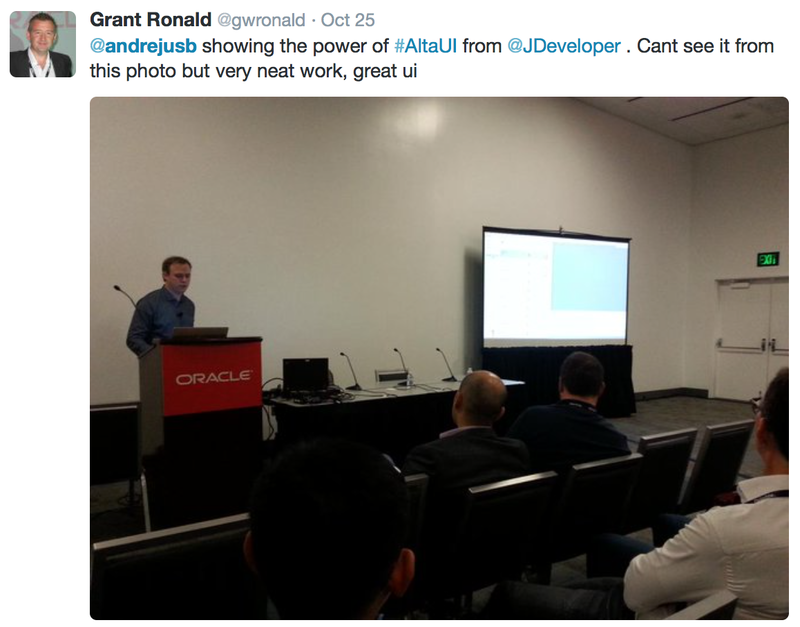 Stay tuned and I will be posting more use cases on Oracle JET integration topic. 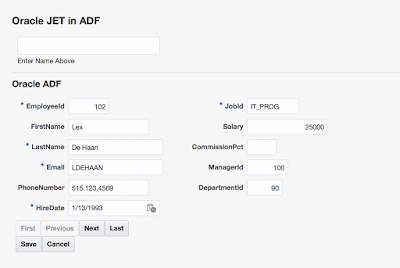 ADF 12.2.1 is a breakthrough in responsive UI. 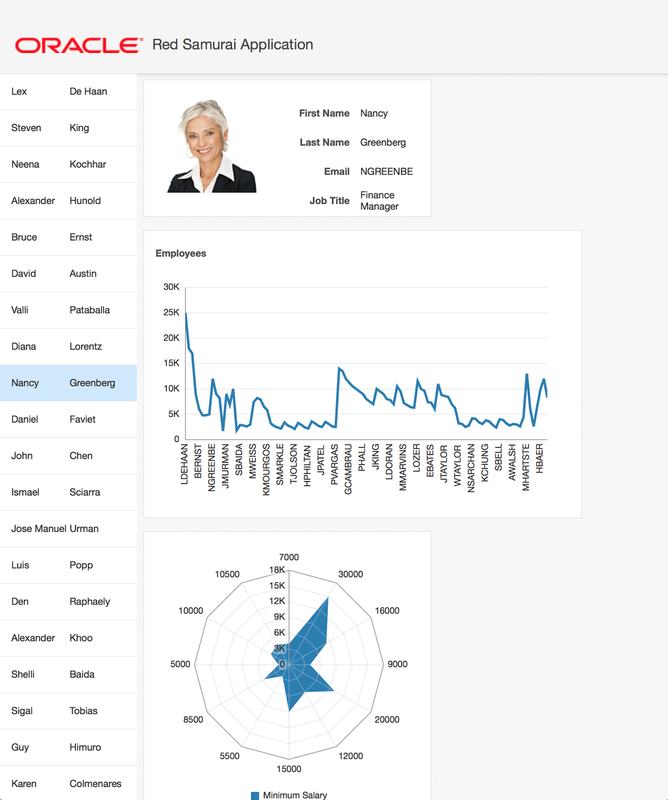 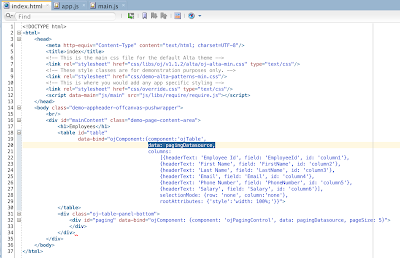 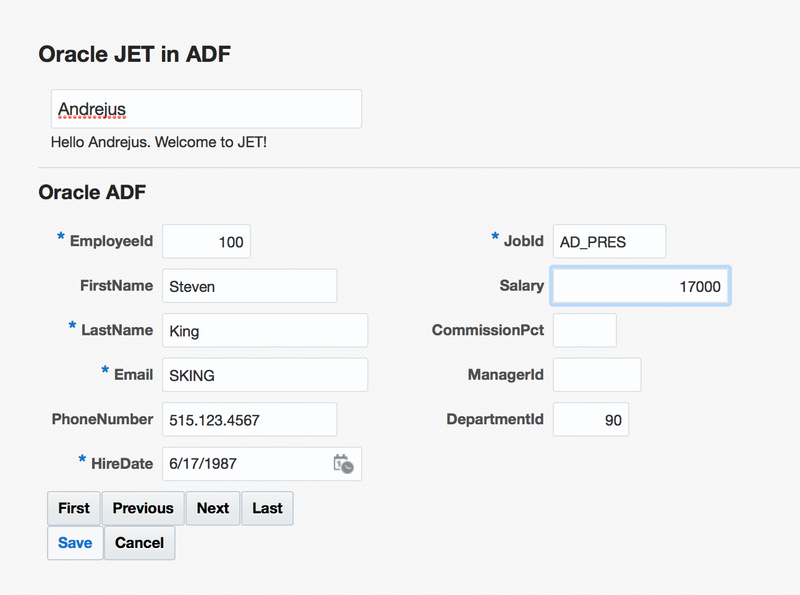 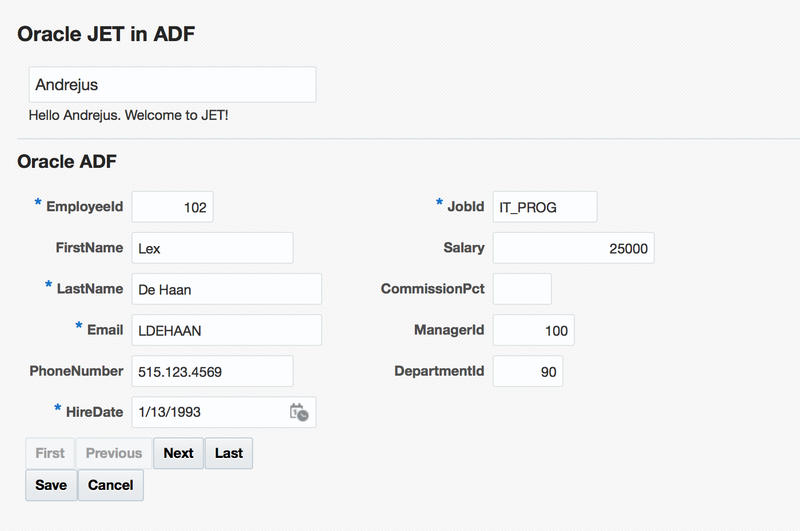 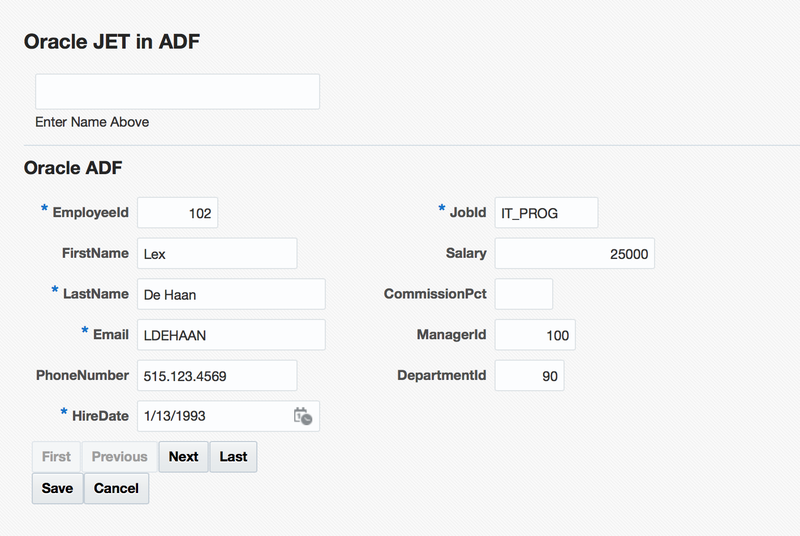 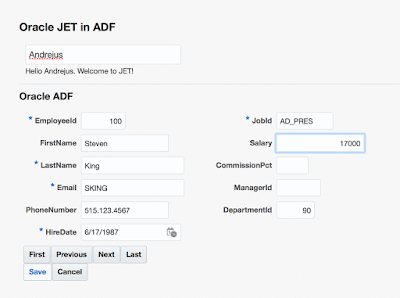 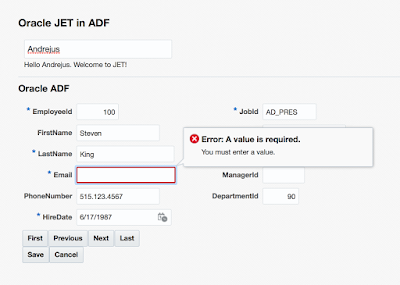 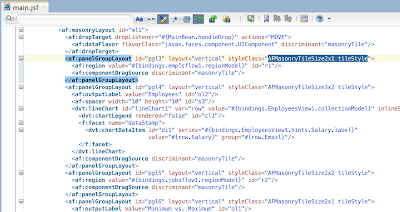 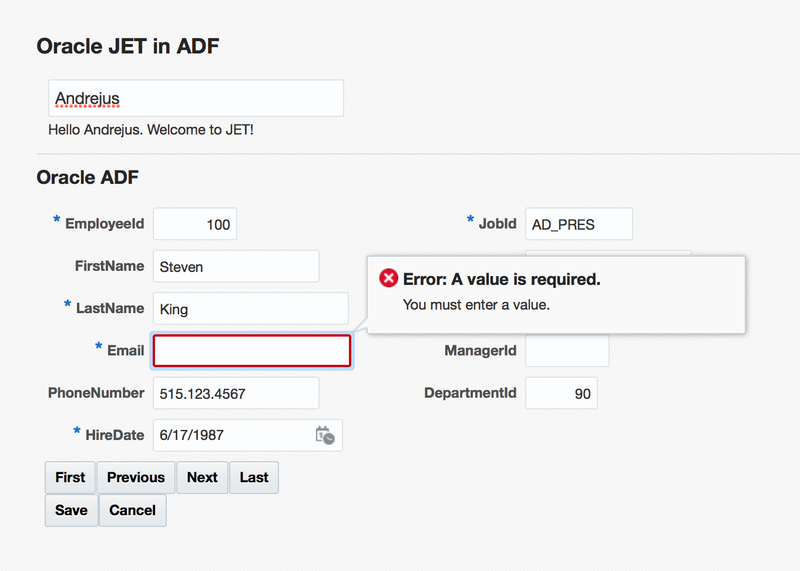 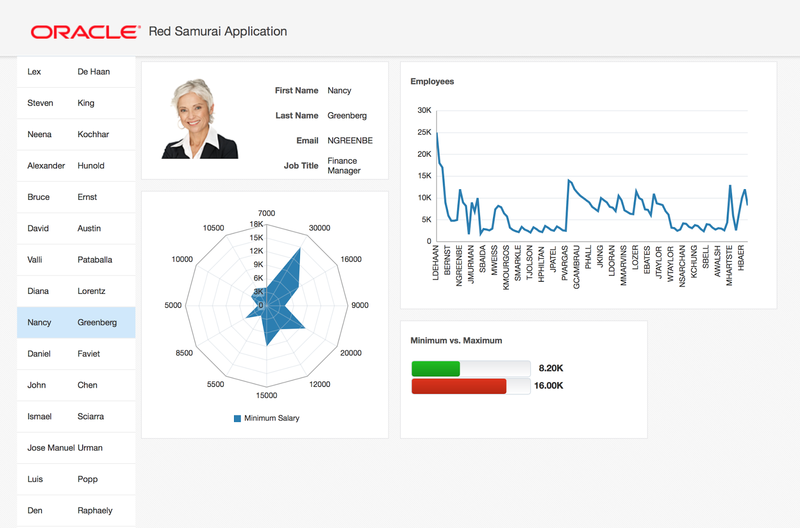 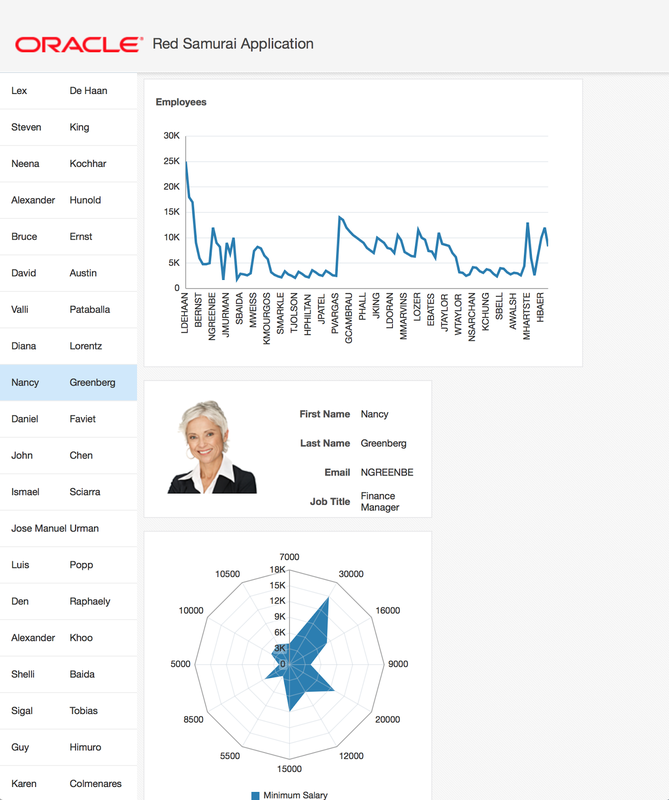 Never before it was so easy to implement good looking and high performance ADF UI. 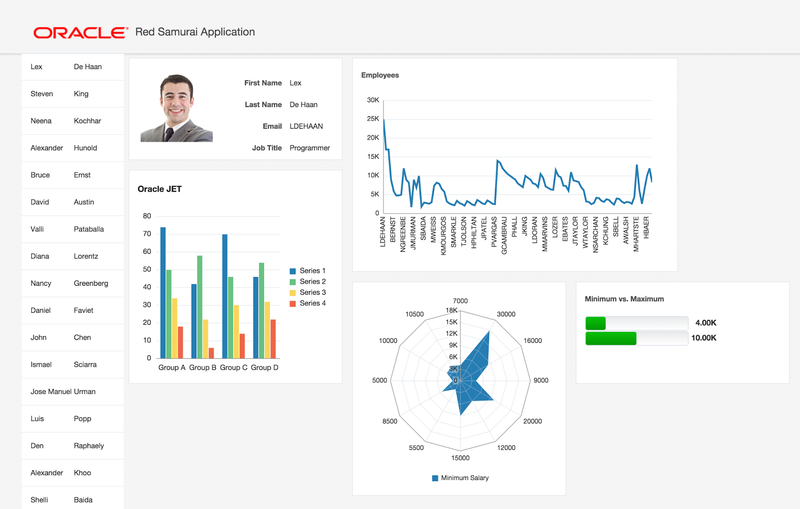 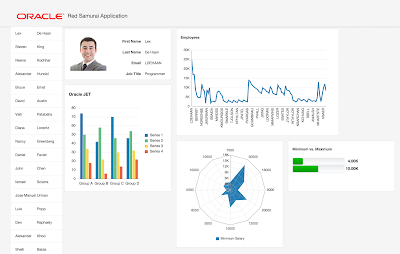 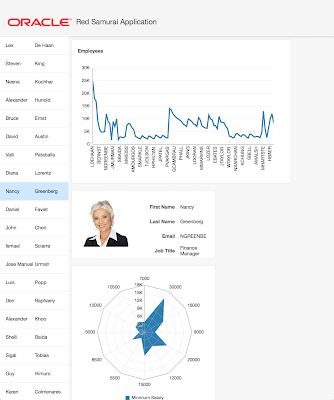 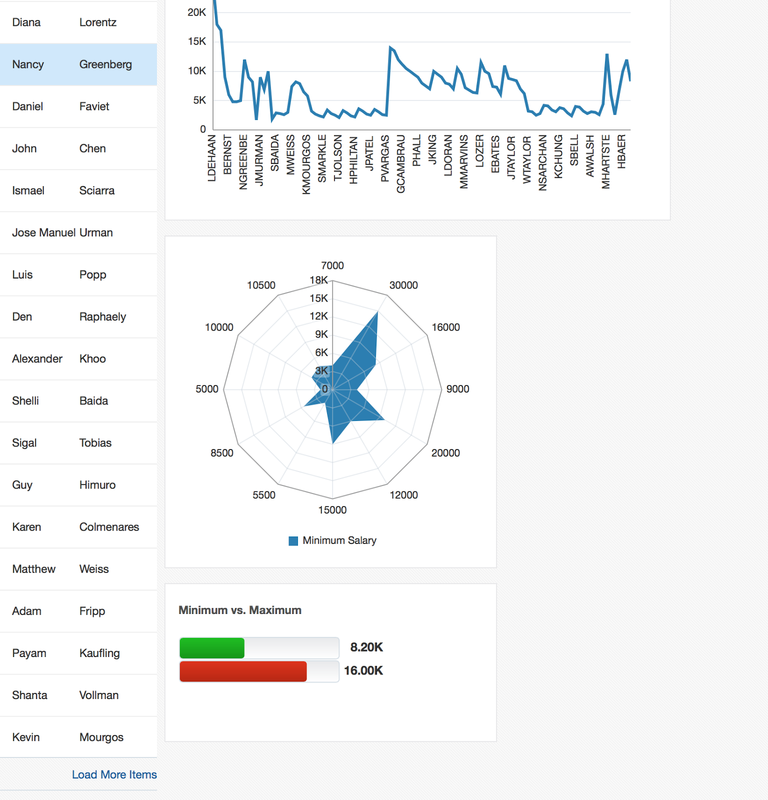 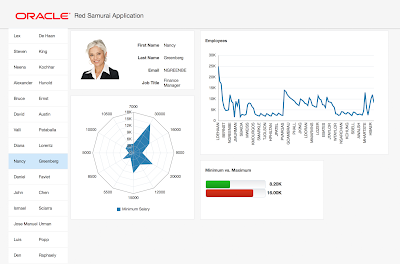 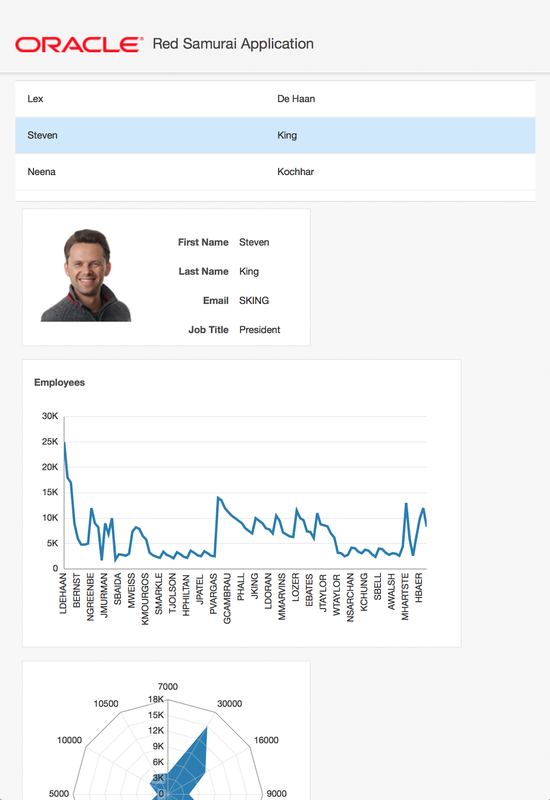 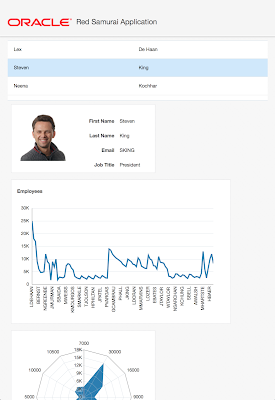 Masonry layout component allows to develop responsive dashboard made from separate tiles. 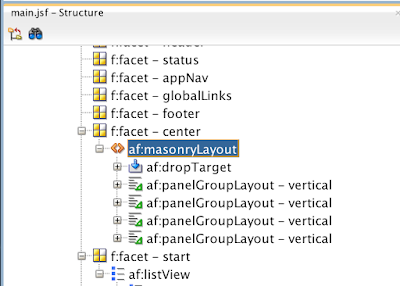 Tiles can be reordered, resized and even removed. 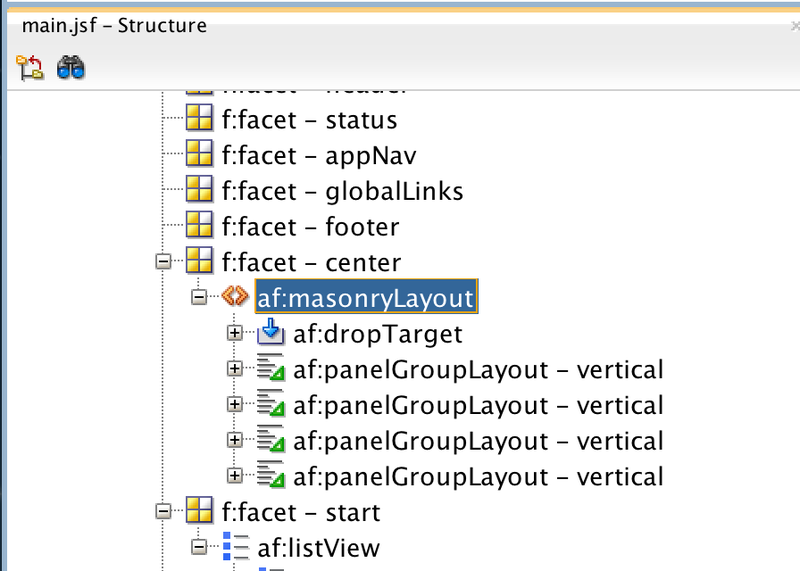 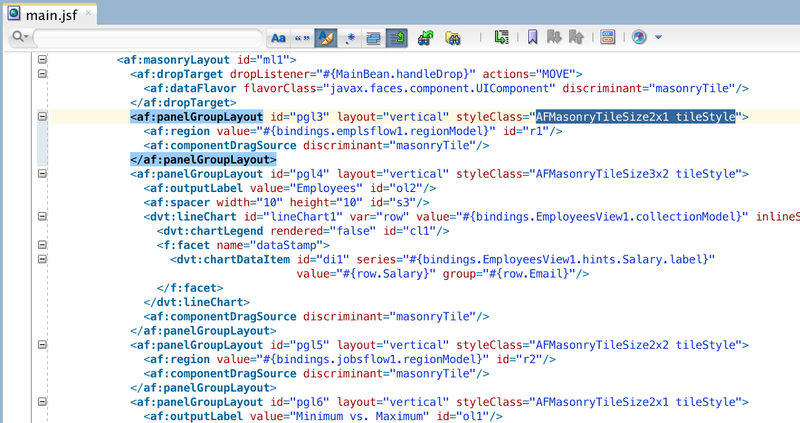 Tiles layout is dynamically constructed based on available screen size. 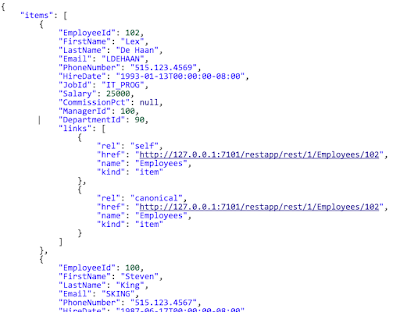 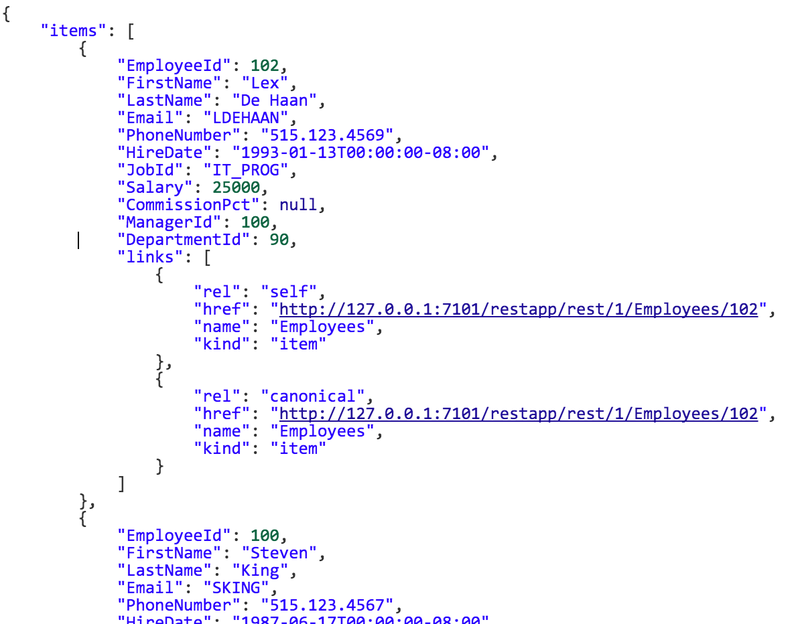 REST service is implemented with ADF BC, I have described it in previous post - ADF 12.2.1 ADF BC Support for REST. 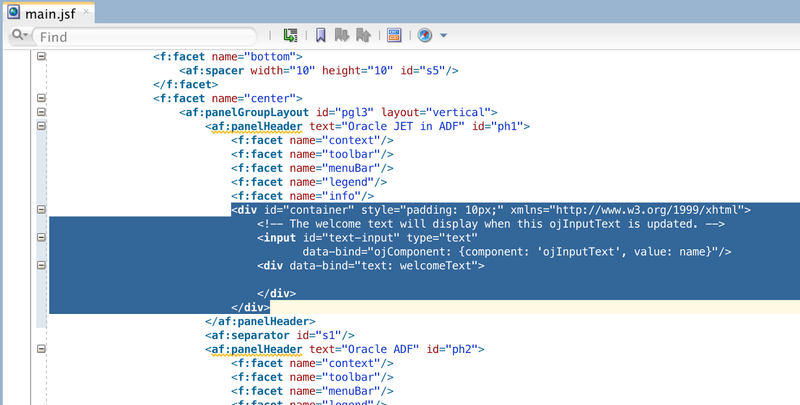 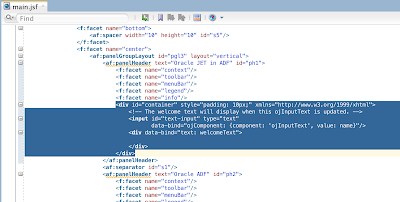 I'm happy to have additional Oracle development toolkit available. 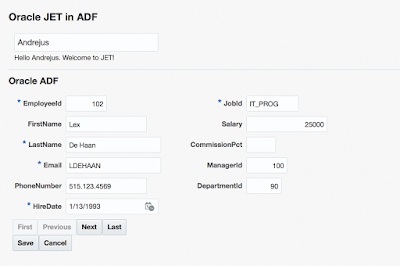 We are going to use it in our projects in combination with ADF.